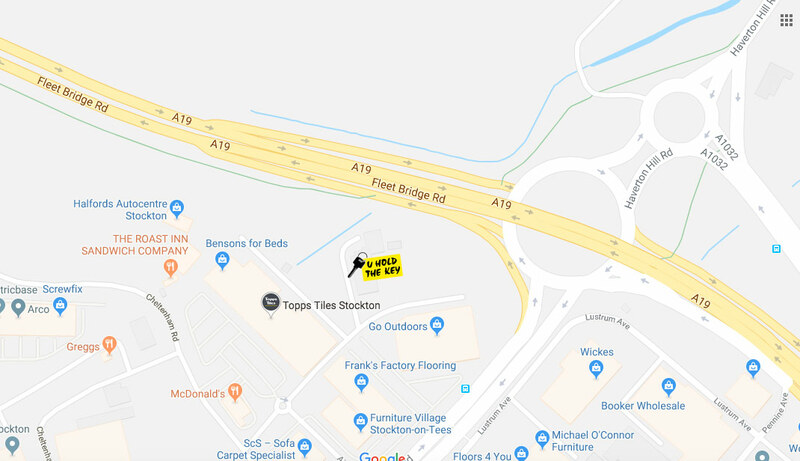 Our newest UHTK site is located just off the A19 (northbound) sliproad, behind the Go Outdoors store, so offers anyone with access to the A19 a very convenient storage location. The site will open for business in Early April 2019. The new location will feature approx 150 stores in total, including various sizes from our smallest 'Neat' stores (24sq foot) up to our largest 'Mega' stores (320sq foot). We're pleased to announce that we're in the process of opening a new location just off the A19 in Stockton, this new location will complement our existing site on Portrack Lane and offer our customers two convenient locations in the Stockton area.